Powermaster globe light suitable for bathrooms and damp areas, sealed lamp compartment ensures lamp is safe from splashes and prevents corrosion of electrical contacts. Triple layer blow moulded glass globe with opal diffuser provding soft ambient light. 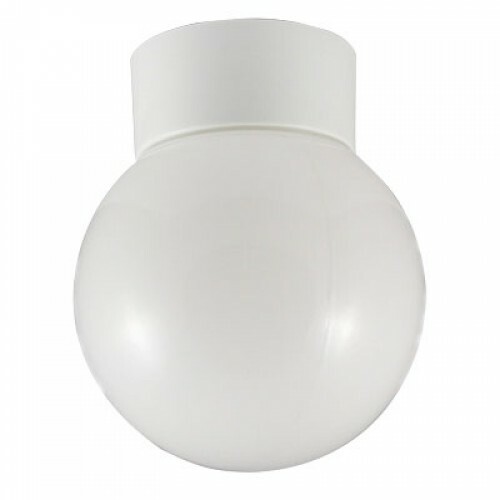 Available as a 60w or 100 watt BC bathroom globe light .